It feels like yesterday when we heard Nokia chief executive Stephen Elop shock the industry with his announcement that the then world’s largest feature and smartphone maker will adopt Windows Phone as its main smartphone platform, and jump off the ‘burning platform’ Symbian. Together, we see the opportunity, and we have the will, the resources and the drive to succeed." How well is that going? Two years after it started its huge transformation, it’s time to recap Nokia's situation and face the facts. Two years ago, Nokia said 2011 and 2012 will be the transitional years, and now in 2013 it can no longer blame that transformational period for slow sales. Nokia's smartphone market share has dwindled drastically in the past two years. The company has ‘optimized’ workforce (a bureaucratic term for cutting jobs), sold non-core assets (like Nokia’s headquarters in Finland, which the company is now leasing), slashed R&D, and saw a huge outflow of top-level management and talent. 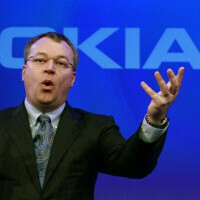 Nokia’s camera guru Damian Dinning has left, Nokia’s sales head quit and the whole management was reorganized. All of that has happened in a monumental effort towards Nokia’s Windows Phone Lumia smartphones. Unfortunately, the fruits of that labor are little. Nokia sold a record 4.4 million Lumias in the Holiday quarter, but that record looked paltry against 47.8 million iPhones sold in the same period, ten times as many as the Lumias. Actually, looking at the whole of 2012, you’d still see Symbian, the 'burning platform', outsold Windows Phone-based Lumias by a huge margin. Nokia sold around 21.8 million Symbian devices against only some 13.3 million Lumias in 2012. Reality struck catastrophically in 2012 as Nokia posted record losses, only swinging back to a slight profit in Q4 2012. Once the undisputed leader and innovator in smartphones, often considered creator of the smartphone, Nokia’s market share collapsed to 5.1% of the market cannibalized by Samsung that rose by more than 50%. From a market leader with 33.7% of the smartphone market in 2010, Nokia held only 5.1% of the market in 2012. Data courtesy of Communities Dominates Brands. What’s worse is that its main platform, Windows Phone, grabbed a measly 2% share of all smartphones sold in 2012. BlackBerry, Symbian and even bada all outsold it this year. We’re not even comparing this with the market leader Android and the only close runner-up, iOS. Nokia has tried to refocus on the North American market, but even at its best, the company sold only 1 million Lumias in a quarter when Apple sold 18 million iPhones in the same period. That is outselling Nokia 18 to 1, a number that leaves comments out. Back in February 2011, Nokia’s chief executive stated numerous times “It’s now a three-horse race.” The reality of the situation however could not be further away from the truth. Globally, Android is running the smartphone show and Apple is playing catch-up. Nokia has lost key markets like China, and could not conquer the new ones it wanted like North America. Windows Phone is also not getting much traction with customers. Nokia is preparing to finally deliver its supposed savior, a true PureView smartphone (where by true we mean one with a huge sensor and unmatched all-around quality like the 808 PureView) for MWC, but the situation has changed. As exciting as it sounds, it could be too little and too late for the company to claim back its spot in the lead. Data courtesy of Communities Dominate Brands. Uff SAMSUNG 215 MILLION :O Now i understud why apple sueingg them :S It is the only company making dangerous for them ..
ZTE and Lenovo? Are you kidding? What about HTC, Nokia and Motorola? I'm blaming Flop all the time, but this guy has nothing here just writing anti- Nokia articles.. Watch the archive and you will know that I'm right. Whether or not you're correct about how he covers the subjects of Nokia and Windows Phone is irrelevant. What matters is whether or not he has his facts straight. If he's inaccurate, call him out on it, and back it up with facts of your own. Otherwise if he's correct, then it's news. Old news is often as misleading as incorrect news. Why not tell all the facts? Also, if WP8 is so terrible, then explain why Nokia sold twice as many Lumias as the previous quarter? Like I said before, OLD NEWS. The thing about old news...it shows the rapid rise of the iPhone and Android in about 2 years for each platform. It also shows the rapid decline of the old Win Mo and BB....and the death of Palm. All within 2 years. This article is also about a 2 year span. 3 years if you count WP. See a pattern? I find it extremely hard to believe that WP phones before Nokia were sooo bad...that Nokia is coming to save the day for WP. You wanna compare the first WP devices to the first Android ones? The first WP devices were like the iPhone 4 or GS 2 and 3 compared to the first Android devices. Especially the OS. The iPhone 4 is a nice phone. The OS was nice too. I had a RAZR, and I had to load up 1.6 on my Droid 1....and I barely touched it after. Anyone wanna talk about lag and Android..I invite you to use my phone with 1.6. Eeww...lol. Android has come such a long way since 2008...amazing lil OS it is.... Android grew so much in 2 years...WP...not so much. There was and still isnt a mass switch of Android users to WP. I keep saying....it is what it is. I still say give WP 3 more years....before we yell FAIL. Might as well say the same thing for Nokia running WP. Let's not get personal here. The sole reason why WP is lacking because ex-Symbian users are not moving to the platform because of its limitations and certain guys won't move from the 800/900 to the 920/620/820 thanks to the sort of terrible experience they've had with WP7.x. Obviously, that's not to say the move to WP is stupid, but yes, WP needs to be better to help Nokia gain back its original crown. Long story short, Nokia needs to find a way to provide functionality to WP aka customize WP to make Symbian/MeeGo users gain entry to the platform. The hardware is generally very good, but ex Nokia owners won't move to WP if they fail to find all what was there in Symbian/MeeGo, Besides, this dumb US only strategy/focus needs to stop. lies, damn lies... Q4 profit is from BB paying license fee + selling HQ + getting money for whoring with micfosoft That's the reason nokia say that Q1 2013 it will be back in RED. Eflop one of the most efficient zombie/virus ever released ... if you couldn't do it in 2 years you cannot do it ever. Compare with Android ... and accept that not many like WIN-DOZ. wp brings nothing except "fancy" UI.. android forever..
uhm yeah.. my t-mobile g1 was like that..
whatever makes you sleep at night grandpa. please stop making yourself sounds stupid kid.. my s3 can do everything even more than your windows phone can dream about... even all of android phone can have that "fancy" UI of your wp with launcher 8 if you thing android has ugly UI.. most of high end or latest android phone never lag ( specialy since 4.1 jelly bean )... malware just like a myth for me cause i never had once at all.. just try to grow up kid.. that 's my advice for you..